We had a wonderful evening at the Seulement Sea which we can recommend to everyone! The welcome was warm and we felt very comfortable. If you like fish and seafood in general, than this is the place to be. Enjoy a starter to share, it's delicious. Then we had the "Moules Frites", mussels with French fries. They were great as well. Together with the recommended wine we had a dinner that we will not forget. Vey friendly staff and atmosphere. Food was fresh, well prepared and spiced, great price/quality ratio. Will eat there again! Very sophisticated and simple food, a very good value for your money and very attentive and caring staff. Can only recommend! 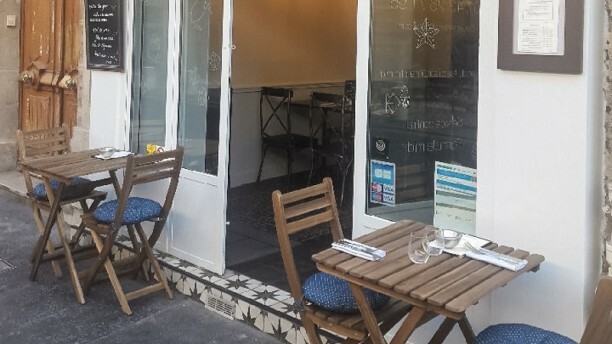 Recomand to visit nice restaurant around Saint Germain. It was a wonderful evening. The food was delicious and the staff so welcoming and warm. Excellent fish restaurant. Fresh and tasty! s excellent, service was also great. We had dinner. The food was perfect!!! As well as the service. We took the specials of the day tartar salomon for starter and a fillet of sea bas for main course. The food was fresh and very tasty. Very recommended!!! 10 / 10 = dix sur dix ! what else ? Great value for money. High quality ingredients and products. Well done with care. Excellent restaurant with a simple but refined menu. The service was great and the pace of service was just right on a busy Friday evening. If you like seafood then please go for it, their oysters were simply delicious. Good value for money, fantastic service, food was served quite quickly. C’était excellent! The food was nicely prepared and the service impeccable. Wonderful meal.